I updated the Basic version to the PRO and I have problems creating new categories and uploading new properties. Last Edit: 2014/01/30 02:48 By mnavarr4. Please what version Joomla you use ? What Basic version you have ? What pro version you have ? Basic version is the one that came with Quick Start Your Real Estate Property September 2012. It was uninstalled. How you do update ? 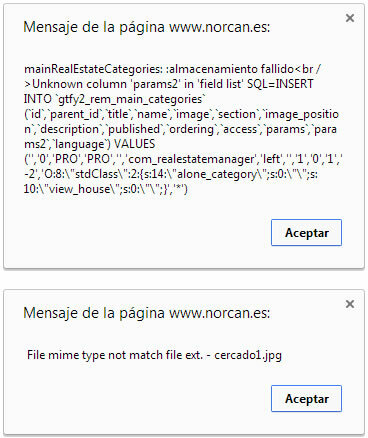 finally I managed to solve, Real Estate Manager uninstalling and reinstalling it. All I've lost the properties it had created, but they were few.